Used for thousands of years by indigenous tribes of the Amazon rain forest, the mystical brew ayahuasca is now becoming increasingly popular in the West. Psychologist Rachel Harris here shares her own healing experiences and draws on her original research (the largest study of ayahuasca use in North America) into the powerful medicine's effects on depression, addiction, PTSD, and anxiety. 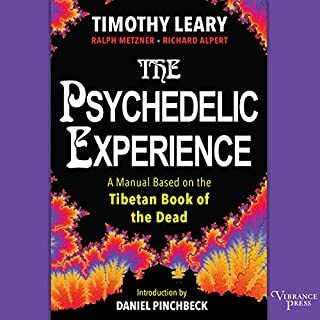 Narrated with the gentle voice of Grof himself. This presentation is DENSE with research, materials, and ideas abut non-ordinary states. Grof presents the perinatal matrices, details shamanic and psychedelic imports to culture, shares his research in psychedelic therapies including LSD and Holotropic Breathwork, examines spirituality v religion, and poses and explores many hypotheses of the nature of the existence of human consciousness. 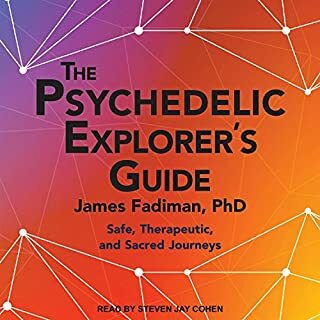 A must-listen for those interested in non-ordindary states of consciousness, shamanic cultures, and the history of human relationship to psychedelic substances. Starts slow, but finishes strong. This book was highly recommended. I couldn't see why after the first few chapters, and I stopped listening for a couple months. I finally came back to it and was rewarded with a good finish. The first part was slow, but it sets the framework by which the rest of the book is constructed. All in all, it was an interesting book, and am glad I finished it. 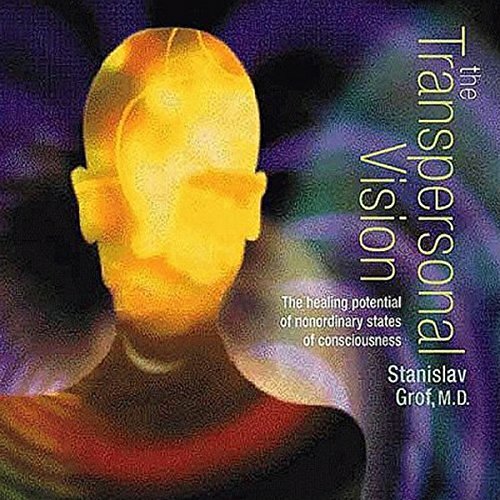 Would you consider the audio edition of The Transpersonal Vision to be better than the print version? Great overview of Stansilav Grof's body of work and key concepts. This is an audio recording of him in a lecture setting. Get ready to get you head wide open ! If you could sum up The Transpersonal Vision in three words, what would they be? This summed up my learning of the last 10 years and set me up for new challenges. 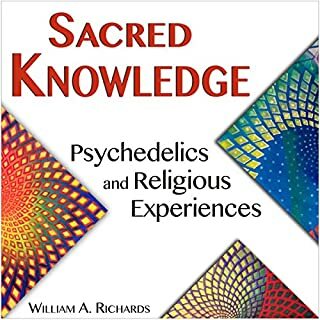 This book is a most for any mental health professional or person in the spiritual path. very reveling! Thanks doctor Grof! 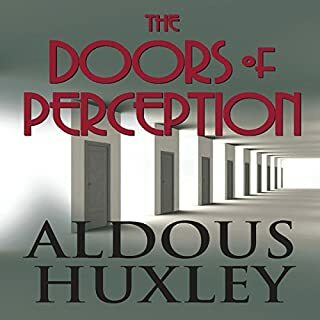 This audiobook/program by Stanislav Grof presents a compelling alternative to the current Cartesian-Newtonian world view offered to and adopted by most western societies. It gives new meaning to the term "time-tested" in the context of the study of social "technologies" which evolved over the last 5000 years, and were forgotten, suppressed or replaced by modern science and materialistic paradigms. He exposes the fallacy of thinking about hard science and spirituality as conflicting disciplines. It is particularly interesting to hear this from a man of science who grew up and was educated in the rational, materialistic system of thought. Intellectually, it begs us to at least consider the idea of a cosmic existence beyond our rational ,ego-centric being, but even more interesting are the practical implications. How we view ourselves, and the life strategies we adopt, consciously or not; shape most of our existence in this world. Dr. Grof presents a practical method to improve the voyage, through a process of self-discovery. A fascinating account of the evolution of depth psychology, social pathology and the path to profound evolutionary change in the human psyche. very valuable, hard to navigate. it'd be useful to include a pdf. table of content. Well read by the author & I enjoy the view point. great! so interesting! about to re listen after I type this! certainly ..... sounds true! Fascinating Subject Read with the Enthusiasm of a cardboard box. We are deeply indebted to Dr Grof for his work. Just don’t listen to this while driving. I absolutely loved this series. It hit so many topics, yet they all were interconnected and his voice is so calming. 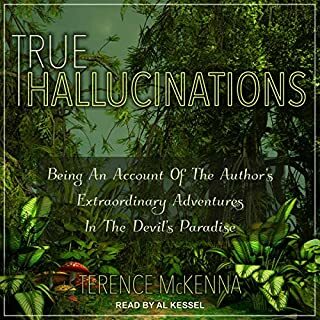 I really enjoyed listening to this; as someone who used LSD personally and professionally as a psychiatrist when it was legal(! ), Grof maintains that the worlds of psychiatry and psychology are far too small. In essence he suggests that 'breakdown' may also be seen as spiritual crisis and 'breakthrough', spiritual emergence from the spiritual emergency. A challenging book for psychiatric 'dogma', and full of hope in my opinion. Amazing. Insightful. Stunning. The world needs the transpersonal vision. Fascinating! You dont learn this in school. A well researched and thought provoking listening experience. One that has opened up a whole new pandora's box to explore in terms of psyche. a lot of great ideas and practices. Stan Grof 's wisdom and words are transformative. So refreshing to hear concepts which make sense and do not label a person as defective for life. 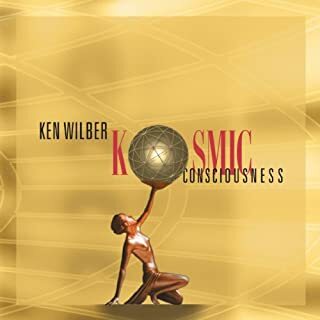 Will reframe mainstream psychology and is the most fair and culturally body of work on this subject that I have seen. Look forward to other works by Grof.